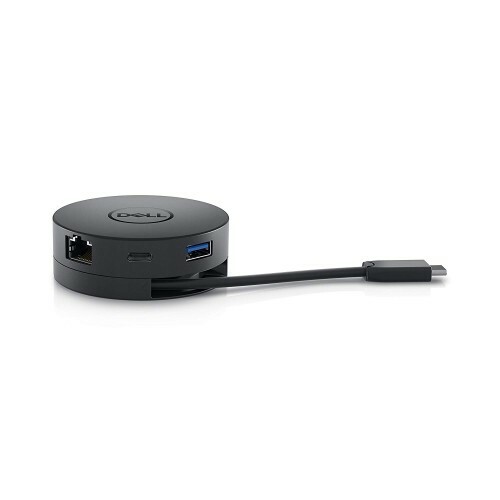 Dell USB-C Portable Adapter - DA300 offers seamless video, network, and data connectivity, in a compact design.Connect to high resolution displays without compromising on performance, thanks to the USB-C Mobile Adapter’s ability to support 4K resolution at 60Hzi. 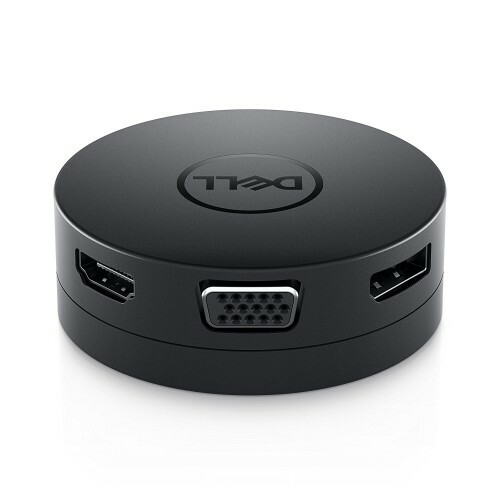 Simply plug in your PC to a monitor or projector via DisplayPort or HDMI 2.0. Using legacy video ports is also a breeze with the adapter’s readily available VGA port.The USB-C and USB-A downstream ports let you connect other supported peripheralsi and enjoy faster file transfers with SuperSpeed USB 10Gbpsi data transfer speeds.It has only one video output is supported at a time.When adapter is connected to a Thunderbolt or 15W USB-C (DisplayPort Alt-mode) port – two downstream USB-C and USB-A ports with USB3.1 Gen 2 file transfer rate of up to 10 Gbps is supported.USB mice, keyboards, mice dongles, select SSDs and flash drives.This power bank is easy to use, the adapter is ready to go when you plug it in - no installation of external drivers is necessary. 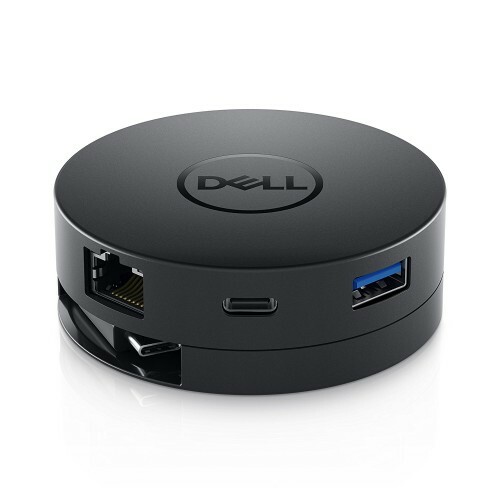 Pair your adapter with Dell systems to enjoy Business Class featuresi such as MAC address pass-through, PXE Boot, and Wake-On-LAN. It works with most operating systems, including Windows and MACi.The longer coaxial cable offers flexibility to connect to various form factors from clamshells to 2-in-1s to detachables, providing enhanced signal quality for stable connectivity wherever your busy day takes you.MAC address pass-through – MAC address pass through recognizes only a unique MAC address entered in the system’s BIOS (Basic Input/Output System) by overriding the adapter MAC address every time your laptop is connected to the network, ensuring that your PC’s MAC address stays the same no matter which USB-C adapter you use.this power bank tested with macOS High Sierra 10.13.4 and macOS Sierra 10.12.6.